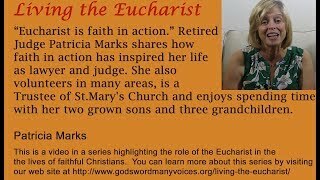 In response to our Bishop’s naming this year the Year of the Eucharist, godswordmanyvoices.org is initiating a series of conversations entitled Living the Eucharist. Our offering is rooted in the teaching in Sacred Constitution on the Liturgy, one of the four Constitutions of the Second Vatican Council, and therefore, foundational to our Church today.. In this document, the world’s Catholic bishops named four presences of Christ in our Eucharistic celebration: the Eucharistic species, the presider, God’s Word, and in the assembly gathered. 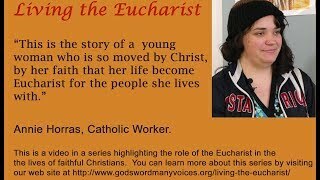 This is clear: the Eucharistic sacrament is a verb, the action of God’s People. 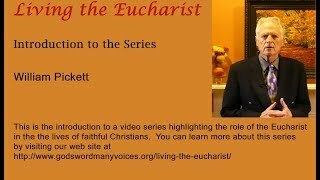 As the culmination of initiation into Christ along with Baptism and Confirmation – the new rite of Eucharist emphasizes the action of the entire faith community. 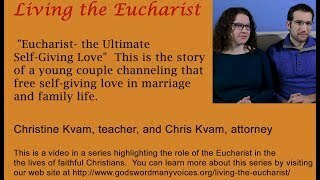 The Eucharist strengthens the faithful to preach Christ and to reveal Christ by the way they live their lives. 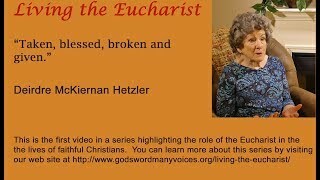 This series will share vignettes of people trying to live Teresa’s exhortation, being the Body of Christ in the world.